Opening in 2017, Aloft Dubai, The Palm will be the First Resort-Style Aloft in the Middle East, Delivering an Energetic Experience with Beach Access. Starwood Hotels & Resorts Worldwide, Inc. (NYSE: HOT) today announced it has signed an agreement with Mr. Rashid Al Abbar to open a 192-room Aloft on Dubai’s iconic man-made island – Palm Jumeirah. Scheduled to open in 2017, Aloft Dubai, The Palm will be the brand’s first resort in the Middle East, complete with beach access, when it opens its doors as the first mid-market hotel brand on the island. Featuring an urban-influenced design, Aloft Dubai, The Palm will have 192 guest rooms, including 10 suites, with plush platform beds, large walk-in showers and complimentary Bliss® amenities. The resort will offer guests access to a 500-metre stretch of beach, complete with sun beds and a gazebo for leisurely lounging. Designed with the needs of the savvy hyper-connected traveller in mind, the hotel will feature SPG Keyless—Starwood’s industry-first keyless entry system that enables guests to use their smartphone or Apple watch as a room key—and fast and free Wi-Fi throughout the property. The property will offer the brand’s signature W XYZSM Bar, a buzzy public space where guests can mix and mingle over good music; re:fuelSM by Aloft, the ‘grab and go’ eatery open 24 hours a day; an all-day dining outlet and a speciality restaurant. Guests who wish to maintain their workout routine while travelling can do so at re:chargeSM, the fully equipped fitness centre, or enjoy a refreshing dip in the outdoor Splash pool. For events and conferences, Aloft Dubai, The Palm will offer over 100 square meters of creative space including four meeting rooms equipped with the latest audio-visual technology. The Palm Jumeirah is the world’s largest man-made island and one of the most ambitious developments in the world, and the Aloft resort will be located on the right side of the Palm’s crescent. Dynamic lifestyle programming being part of the brand’s DNA, the hotel will set a buzzing social scene within The Palm, offering guests and locals live, free access to the hottest emerging musicians. Aloft made its debut in the Middle East in 2009 with Aloft Abu Dhabi. 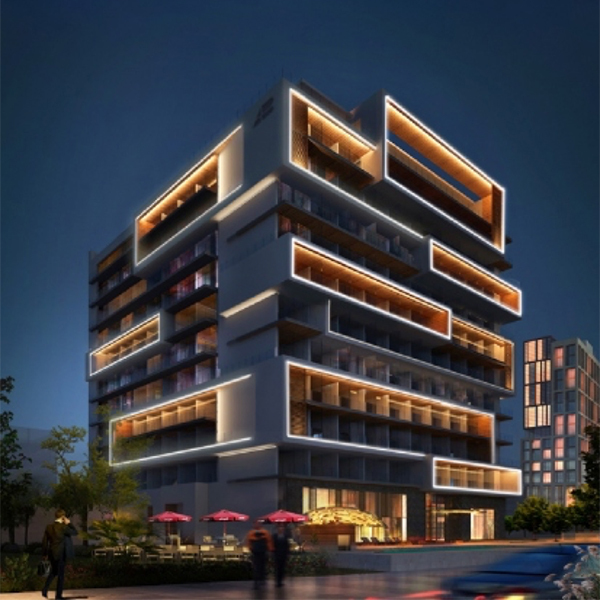 The signing of Aloft Dubai, The Palm reaffirms the momentum behind the brand’s rapid expansion in the Middle East, with plans to introduce seven Aloft properties across the UAE by 2019. Aloft Dubai, The Palm will be the third hotel on Palm Jumeirah that will be managed by Starwood under its distinct lifestyle brands, joining the W and St. Regis hotels when these open in 2017 and 2018 respectively. Let’s get social. Follow @AloftHotels on Twitter, check us out on Instagram @AloftHotels, or head to Facebook.com/AloftHotels.